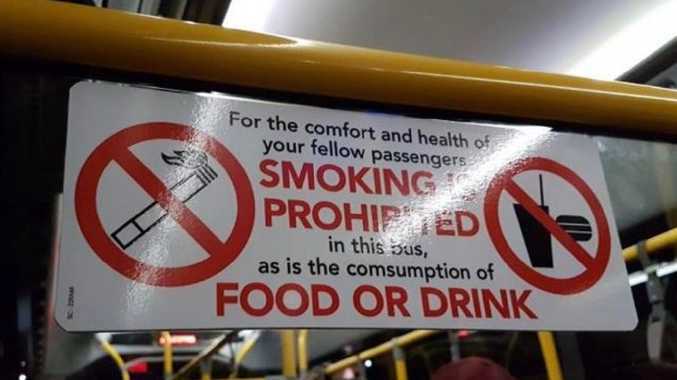 A PASSENGER on a Brisbane bus has pointed out an embarrassing spelling mistake on a "No Smoking" sign in the vehicle, making others wonder how they never noticed the error before. 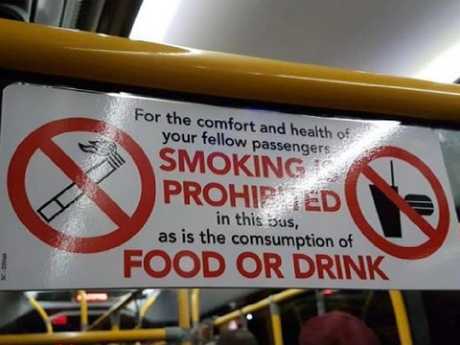 The sign advises passengers smoking, eating and drinking are prohibited on the bus. 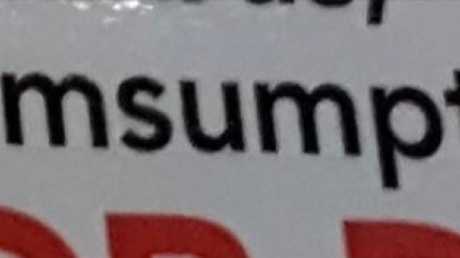 However, it seems someone made a typo when printing the sign, as the word "consumption" is misspelt as "comsumption". The mistake was pointed out on Reddit yesterday, with the signs containing the typo believed to be on all Brisbane buses. "Every. Single. Brisbane. Bus. How have I not noticed this?" the post read. There are 1200 buses in Brisbane's fleet, but a Brisbane Council spokesman assured the Courier Mail only a small portion of the buses had the misspelled sign. About 8 per cent of the fleet reportedly carry the embarrassing typo, meaning passengers will only see the mistake on under 100 buses. "An audit is underway and council will ensure all stickers identified with a misspelled word are replaced as soon as possible," the spokesman said. The post attracted hundreds of likes and comments from people who were in disbelief they had never noticed the mistake. "I hate that you showed me this. Now I'm going to be irritated! You could have left me in my blissful ignorance," one user replied. "Great. So now I can't catch buses anymore," another wrote. One added: "Hope you know that you've ruined any bus trip I have from now on."